The Studio Glass is a landscape format gas fire. Sleek, chic and shining, the black Glass offers you a striking focal point around which you can create your own distinctive interior. 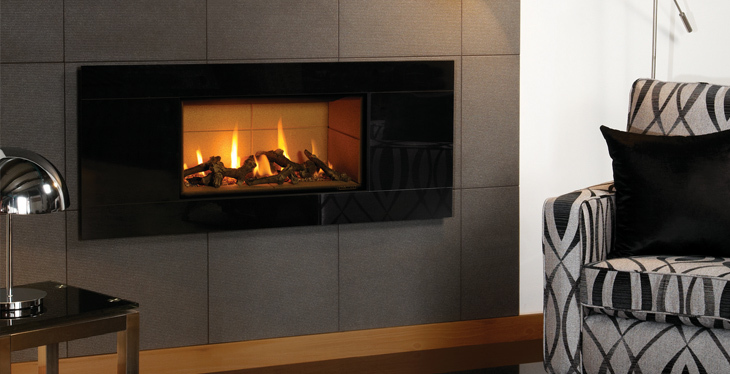 Available in three sizes of Open and Glass Fronted versions and with a choice of white stones, glass beads or log-effect fuel beds, there’s a Studio Glass gas fire to offer instant impact whatever your room size. Command Controls: Standard remote (Open fronted) and Progammable Thermostatic remote (Glass fronted).